Janine Jungfels riding Echo in 2014! 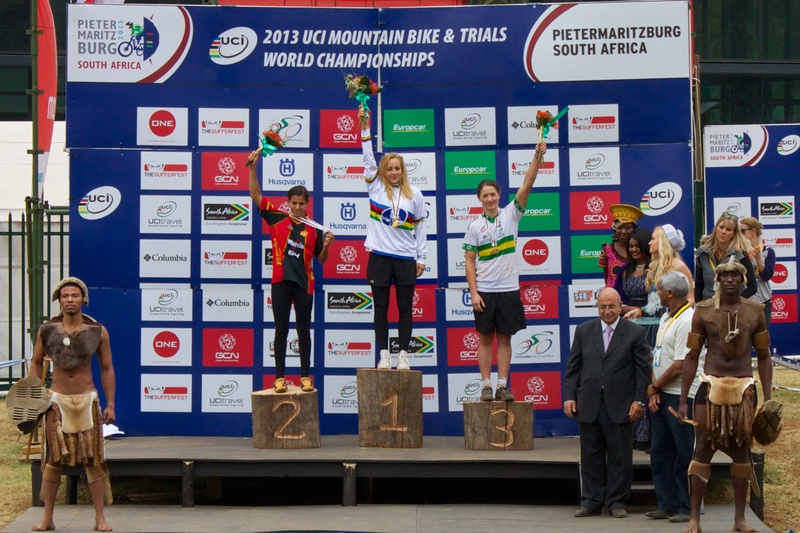 In 2013 Janine Jungfels made trials history by winning Australia's first ever trials medal at the UCI World Championships. Since returning from South Africa Janine has been training hard, working towards her goal of one day being crowned trials world champion. Janine will also receive continued support from Ride Mechanic and their range of Australian made bike lubes and cleaning products. Cleaning Equipment Consulting has also offered their continued support for the new season. Janine will also continue her long standing relationship with ExpressiveBikes featuring in their Australian trials shows and also receiving product support. To show off her new bike Janine has uploaded a new YouTube edit of her training in some of her favourite local spots in South East Queensland. The new video shows Janine looking very comfortable on the bigger wheels and in good form for the upcoming Australian Championships in March. Janine also has a brand new website www.janinejungfels.com Check it out to find out more about Janine's 2014 campaign and follow her progress. » National Bike Trials Round 2 - great work Biketrials NSW!! » Janine Jungfels riding Echo in 2014!